Flexible, wireless electronic devices are rapidly emerging and have reached the level of commercialization; nevertheless, most of battery shapes are limited to either spherical and/or rectangular structures, which results in inefficient space use. Professor Il-Doo Kim’s team from the Department of Materials Science at KAIST has successfully developed technology to significantly enhance the variability of battery design through collaboration research with Professor Jennifer A. Lewis and her team from the School of Engineering and Applied Sciences at Harvard University. Most of the battery shapes today are optimized for coin cell and/or pouch cells. Since the battery as an energy storage device occupies most of the space in microelectronic devices with different designs, new technology to freely change the shape of the battery is required. The KAIST-Harvard research collaboration team has successfully manufactured various kinds of battery shapes, such as ring-type, H, and U shape, using 3D printing technology. 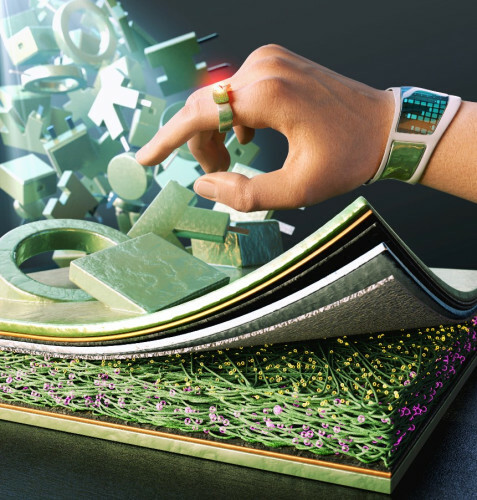 And through the research collaboration with Dr. Youngmin Choi at the Korea Research Institute of Chemical Technology (KRICT), 3D-printed batteries were applied to small-scale wearable electronic devices (wearable light sensor rings). The research group has adopted environmentally friendly aqueous Zn-ion batteries to make customized battery packs. This system, which uses Zn2+ instead of Li+ as charge carriers, is much safer compared with the conventional lithium rechargeable batteries that use highly inflammable organic electrolytes. Moreover, the processing conditions of lithium-ion batteries are very complicated because organic solvents can ignite upon exposure to moisture and oxygen. As the aqueous Zn-ion batteries adopted by the research team are stable upon contact with atmospheric moisture and oxygen, they can be fabricated in the ambient air condition, and have advantages in packaging since packaged plastic does not dissolve in water even when plastic packaging is applied using a 3D printer. To fabricate a stable cathode that can be modulated in various forms and allows high charge-discharge, the research team fabricated a carbon fiber current collector using electrospinning process and uniformly coated electrochemically active polyaniline conductive polymer on the surface of carbon fiber for a current collector-active layer integrated cathode. The cathode, based on conductive polyaniline consisting of a 3D structure, exhibits very fast charging speeds (50% of the charge in two minutes) and can be fabricated without the detachment of active cathode materials, so various battery forms with high mechanical stability can be manufactured. “3D-printed batteries can be easily applied for niche applications such as wearable, personalized, miniaturized micro-robots, and implantable medical devices or microelectronic storage devices with unique designs,” added Professor Lewis. 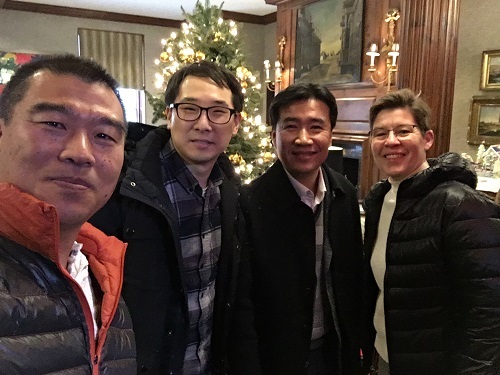 With Dr. Chanhoon Kim in the Department of Materials Science and Engineering at KAIST and Dr. Bok Yeop Ahn School of Engineering and Applied Sciences at Harvard University participating as equally contributing first authors, this work was published in the December issue of ACS Nano. This work was financially supported by the Global Research Laboratory (NRF-2015K1A1A2029679) and Wearable Platform Materials Technology Center (2016R1A5A1009926). 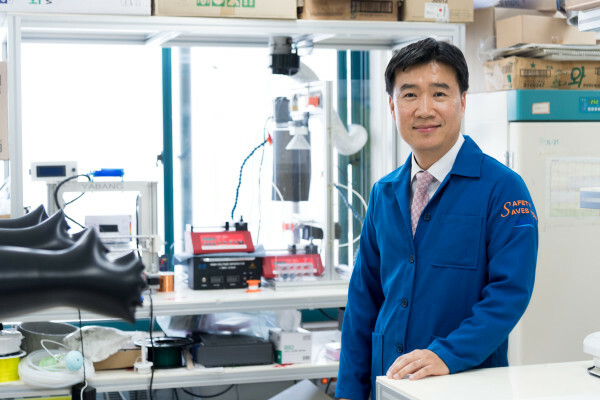 Meanwhile, Professor Il-Doo Kim was recently appointed as an Associate Editor of ACS Nano, a highly renowned journal in the field of nanoscience.